The Farnsworth House, built by Ludwig Mies van der Rohe in 1951 and located near Plano, Illinois, is one of the most famous examples of modernist domestic architecture. 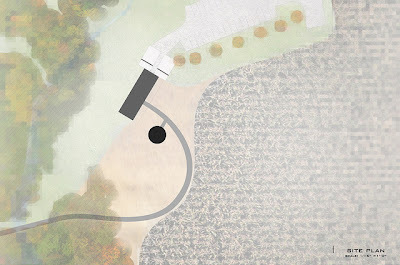 But on September 14, 2008 rain poured down on the Fox River valley in Plano, IL, causing the river to spill its banks and flood Mies van der Rohe’s Farnsworth House. 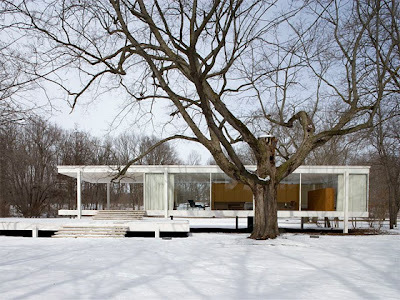 The flood damaged the house and the furniture within, specifically a large wardrobe that was added to the house at the request of Mies’s client Edith Farnsworth. The Barnsworth project, a group of students from the Illinois Institute of Technology are putting their education to work and designed an additional exhibition space to safely house the furniture in case of another flood. To learn more about it and to help fund the project, visit their Kickstarter page.